PAN of the buyer and the seller is mandatory to make e-payment of TDS on sale of property. However, the TAN (Tax Deduction Account Number) is not required to make this payment. TDS needs to be paid on the amount paid/payable to the seller. The buyer can make the payment using the e-tax payment option. 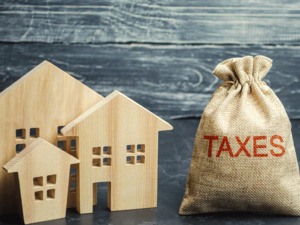 The purchaser of an immovable property (whether built up or under construction) of value Rs 50 lakh or more has the responsibility under the Income Tax Act to pay withholding tax of 1% from the sale consideration payable to the seller of the property. This withholding tax must be deducted at source and deposited in the government’s account as per the income tax laws. Due date: The due date of payment of TDS on transfer of immovable property is 30 days from end of the month in which the deduction is made. Prerequisites: PAN of the buyer and the seller is mandatory to make e-payment of TDS on sale of property. The TAN (Tax Deduction Account Number) is not required to make this payment. Form 26QB: To make an online payment of tax from the e-tax payment option, the buyer is required to fi ll an online form, 26QB. PAN of the buyer and seller, details of the property, total consideration payable, and payment details must be furnished. Payment: TDS needs to be paid on the amount paid/payable to the seller. The buyer can make the payment using the e-tax payment option. The tax payment can be made via net banking portal or by visiting authorised bank branches. Once the payment is made, an acknowledgement number is generated. On entering the acknowledgment details at a later date, one can generate the submitted Form 26QB for records. 1. If the property transaction has more than one party as a buyer or seller, Form 26QB needs to be filled by each buyer for unique buyer-seller combination.